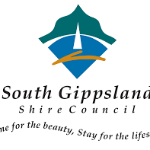 SouthGippsland Shire Council currently has 0 opportunities. We are looking for a civil engineer with one to three years of experience or a recent engineering graduate who is looking to get their career off to the right start. The key leaders in this organisation have a strong reputation in the local community and specialise in delivering civil projects such as, roads, municipal buildings and community infrastructure.